Can you become a Chinese teacher? Isn’t it a pleasure to study and practice what you have learned? These are the words that open The Analects of Confucius, a book of sayings attributed to China’s greatest philosopher and one of the most studied books in China for the past 2,000 years. It’s no wonder that teachers command a great deal of respect in Chinese society, the first chapter of Analects is all about “studying” or 学而 xué ér. It’s now more than two centuries since this book was first compiled, and the demand for Chinese teachers is at an all time high. One of the biggest obstacles to teaching the language is refuting the widely held belief that it is too difficult for foreigners to learn. Another challenge teachers face, is the shift in the underlying reason many people want to learn Chinese. In the past, people learned Chinese to better understand Chinese culture. Today, a growing number of students want to master the language in order to make themselves more attractive in the international job market. We’ve already shared statistics on how many foreigners are learning chinese and how the spike in Chinese language popularity worldwide has put Chinese language teachers in record demand. While government ministries in China spare no effort to promote the teaching of the Chinese language worldwide, a rising problem has emerged. Qualified Mandarin teachers are in short supply. New ways must be found to narrow the teaching gap. 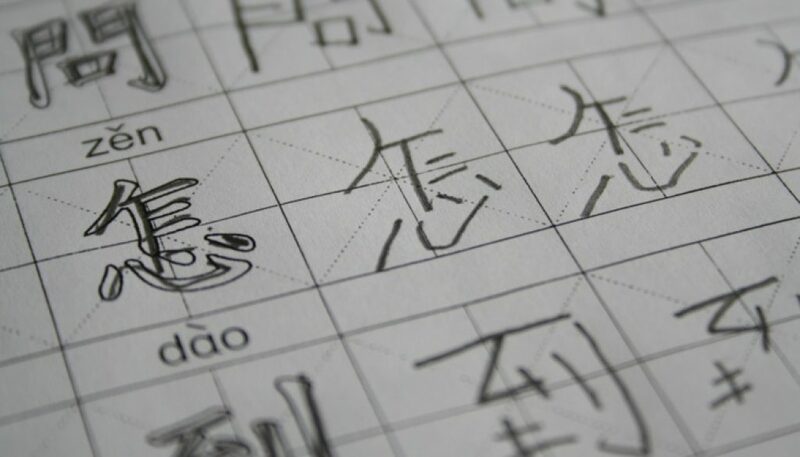 You’ve probably come to Free Chinese Lessons with the goal of learning Chinese. What are you going to do with that knowledge? How are you going to put it to use? Sharing your knowledge of Chinese language is one possibility. You don’t necessarily need to be a native Chinese speaker to teach Mandarin. Someone who has taken the time to learn the language will have insights to share with fellow learners. When three people are walking together, one of them is good enough to be my teacher.